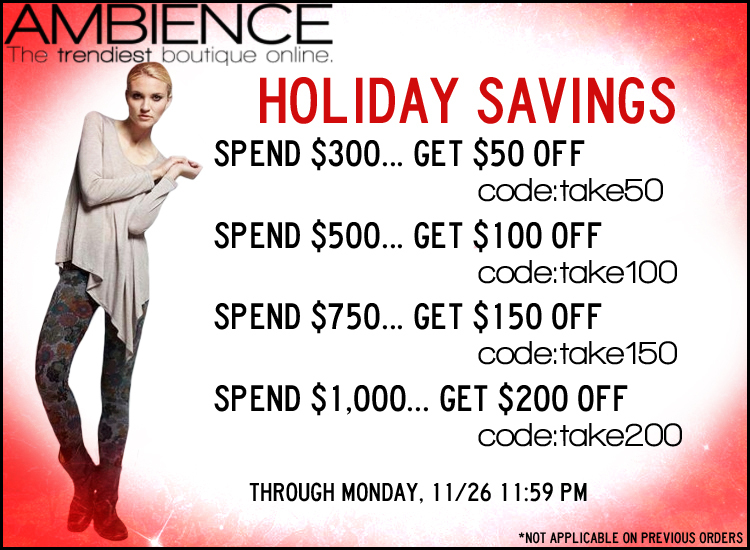 Enjoy some awesome holiday Savings! 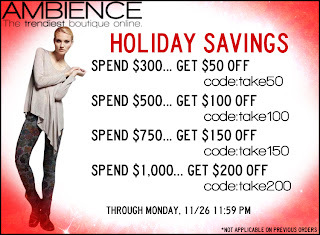 Now through Monday at midnight, enjoy $50 off your purchase of $300 when you use coupon code take50 at checkout, enjoy $100 off your purchase of $500 when you use coupon code take100 at checkout, enjoy $150 off your purchase of $750 when you use coupon code take150 at checkout, and enjoy $200 off your purchase of $1000 when you use coupon code take200 at checkout! Not applicable on previous orders.